The Missed Adventures Ireland Motorcycle Tour will allow us to cover many areas of outstanding beauty, across the centre of the country and around the wild and open coastline, before returning to Dublin for our ferry home and you have the chance to experience it with us. Please confirm your interest by heading to the event and add your RSVP notification. 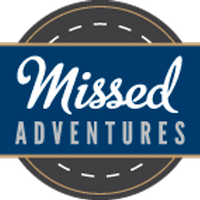 Clicking on the Missed Adventure logo will take you to the event in our calendar. Missed Adventures will be presenting at our club night on 10th December, so any final questions could be answered following his presentation? To secure your place, there is a non-refundable deposit of £150.00 per person which needs paying by the 10th December. This is a deposit unless the trip is cancelled The balance of any remaining payment for your chosen tour to be paid six weeks prior to departure by Cheque or Bank Transfer (Details to follow). More information will be provided during the next couple of club nights. Failing that please contact one of the organisers.